Our One Bedroom Pet Friendly Cabins in the North Georgia mountains are perfect for a honeymoon or romantic getaway. 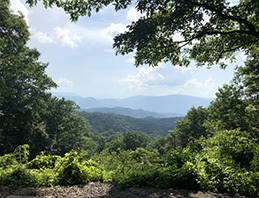 The North Georgia mountains are located close to Chattanooga, Tennessee and offer lots of entertainment for a wonderful mountain vacation. © 2007-2018 Image Builders.All rights reserved.